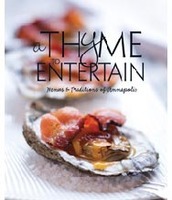 Newly available, A Thyme to Entertain is our second cookbook.This coffee table style cookbook highlights annual events and traditions around the Annapolis area, celebrating the Chesapeake's rich maritime history with 13 featured party menus and 200 recipes. Our newest cookbook ready for giving. We’ve even tied on a fabulous tin cookie cutter. Makes a great gift! Our newest cookbook ready for giving. We’ve even tied on a fabulous wooden spoon. Makes a great gift! An elegant, full-color spiral bound cookbook compiled and triple tested in the Junior League tradition. The easy-to-read divider pages delight readers with narratives of history, charm, and memories that have attracted visitors to Annapolis for over 300 years. Our classic cookbook ready for giving. We’ve even tied on a fabulous tin cookie cutter. Makes a great gift! Our classic cookbook ready for giving. We’ve even tied on a fabulous wooden spoon. Makes a great gift!